So you want a career in the nonprofit sector? Earlier this week, I attended SXSW in Austin, Texas and met many interesting people and connected with old friends, including BlogHer colleagues CE's Queen of Spain, Liz Perry, and Virginia DeBolt. I met several women who told me they were considering entering the nonprofit sector and had questions about how to get started. While I was reflecting on the question, searching my distant memory of how I began working for nonprofits almost 30 years ago, The Idealist Guide to Nonprofit Careers popped up in my RSS feed. The guide is an excellent primer for those who are to the nonprofit sector. The first section explains what a nonprofit is and the second chapter introduces you to Nonprofit Speak, a good tutorial to the acronyms and words that are often spoke in nonprofit land and can help you get up to speed so you can communicate your career goals to potential employers. The next part of the guide is filled with practical information about how to conduct a "career search" in the nonprofit sector. The advice is more than just how to network or prepare a network, but provides some great exercises that help you understand whether or not the organization is a good match for you. The Idealist also sponsors a series of Nonprofit Career Fairs with between 50 and 150 organizations participating in each city. This is an efficient way to network and meet the nonprofit players in a particular geographic area. What is your best advice for people who want to get started working for nonprofits? What resources would you point them to? Special bonus - if they're interested in technology, what advice would you offer them in getting started as the techie in a nonprofit organization? I admit. I need with my tagline. My tagline was the result of discovering a lot of referrals from google on the word "beth" - but they those referrals were not staying long. So, I decided to make my blog title more description - to be a tagline. "How Nonprofits Can Use Social Media." (Have to do some comparisons). Today, when I saw that Nancy Schwartz's not about doing a survey as a prelude to writing a how-to piece for nonprofit taglines it got me thinking about best practices for taglines and how to improve my own. Guess I'll have to wait for Nancy's piece. Last night I had the pleasure of joining a conversation with WOW2 over at edtech. I finally got the opportunity to speak with Sharon, Vicki, Cheryl, & Jennifer live and in real time! I've been a fan of Vicki Davis's blog (CoolCat Teacher Blog) for sometime now. We talked about Cambodia and one of the questions was (an excellent one), what do teachers need to think about if they are doing an over the web collaborative project with a classroom in the developing world. One of my best sources is, of course, Andy Carvin's digital divide category on his blog. The question forced me to reflect on my experience last summer. How do you optimize your media (like video and photographs) to upload quickly and take up less time (and money spent) at an Internet cafe? It isn't all about technical issues like compression, but it is also covers aesthetics -- for example, with video blogging using the technique of moment capture. WOW2 hosts immediately made the connection to micro blogging or micro media making. How do you get students to write concisely, boil ideas down to their essence. I had mentioned the NpTech Tag Summary - and how practicing that every week makes you better at it. It made me curious about the art of mircoblogging - and how you develop the technique of saying it in 140 characters. Guidestar where you find information about 1.7 million nonprofits, including their IRS Form 990 information. Allan Benamer at the Nonprofit Tech Blog recently wrote about GiveWell's reviews. GreatNonprofits is a place to find, review, and talk about great -- and perhaps also not so great -- nonprofits. You already know that reviews by other people who have gone to a restaurant or tried out a doctor are the best way to find out about the quality of those services. If you have direct experience with a nonprofit, GreatNonprofits makes it easier for you to share your knowledge so that other people can discover the great nonprofits that are out there. February and March are busy months for me. I should be answering my email or at least attempting to get my inbox down to zero. Instead, I dip into the NpTech Tag Stream and notice this post from NTEN about a new book about nonprofits and technology. 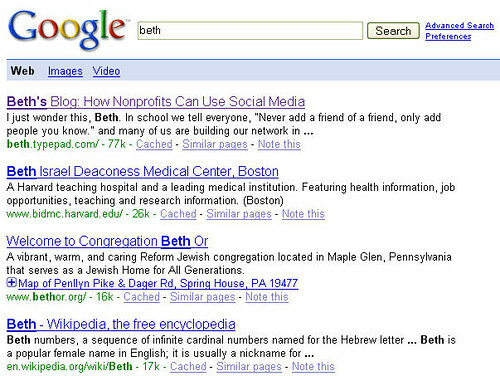 A few days ago, I got a ping from Deborah Finn via a social bookmarking service with a pointer to the same book - "Nonprofits and Technology: Emerging Research for Usable Knowledge"
IT Adoption among Nonprofits" by Paul-Brian McInerney (who is an editor for the forthcoming NTEN and Gilbert Center "Journal for ICT in Social Change Organizations). I met him in 2002 in Orlando at the NTC Conference when he was just beginning to do that research and had a great conversation with him a bar in downtown Orlando. Circuit riders occupy space among several institutions: the nonprofit sector, the philanthropy, and the technology industry. As such, they protect nonprofit organizations from the cutthroat practices of for-profit consulting firms and the unnerving pace of technology change. In doing so however, they have also faced constraints and demands on their way of doing technology assistance. As the field has grown, it has had to tone down its some of its progressive ideology and adopt the language of capacity building, which is less threatening to foundations and potential corporate funders. They have also had to adopt more professional practices, such as developing a trade association, a move that signals the legitimacy of their field and attracts external funding (Abbott, 1988; Greenwood et al., 2002). The circuit rider model was created to solve the three problems outlined above: nonprofits’ uneasiness about IT; a lack of foundation support; and a lack of resources and expertise. It grew and survived through the institutional entrepreneurship of people like Gavin Clabaugh, who 19 connected the model to foundation programs, and Rob Stuart, who organized the circuit ridersinto a bounded field. Following changes in the nonprofit sector, the future of circuit riding is unclear. For now, circuit riders continue to service the technology needs of nonprofits in lowresource environments. Their ability to continue doing so is threatened by competition for resources and legitimacy from other models of technology assistance to the nonprofit sector, like commercial NTAPs and for-profit consulting firms. Recently, smaller movements within the circuit rider community have been advocating for free/open source software as a strategy of fending off the influx of corporate firms and proprietary technology solutions into the sector. Though the move appears to have great promise, it is too early to tell if this strategy will be successful and circuit riding will thrive once again. I just "met" via email Roz Lemieux from the New Organizing Institute. It is a unique grassroots program that trains young, technology-enabled political organizers to work for progressive campaigns and organizations. The Institute is being created by experienced online organizers in conjunction with MoveOn.org to fill an urgent need in progressive politics. Roz is organizing a training/skill share event next week and I'm passing this along for any readers in the DC area who would like to help out. This opportunity is part of NOI's next online organizing and tech training, coming up March 7-9 ( agenda). The training is shaping up to be amazing -- with over 50 organizations including NAACP, Sierra Club, ONE Wisconsin Now, and the League of Young Voters participating. A critical piece is supporting the implementation of the training in participants' day-to-day work. As a leader (or specialist) in this field, you can help. I know you're not all in the DC area, so please share this widely with other experts and leaders in the field. Thanks for helping build a stronger progressive movement. I've had this post about a mashup between Idealware, TechSoup, and Social Source Commons in draft and was going over to Deborah Finn's Blog to grab the URL for her excellent post last week about Social Source Commons. I also stumbled across her more recent post about NpTech Mashups. So, let's unleash the NpTech Mashup Meme. This post was in draft because I was starting to devour all the great content on the NTEN Blog, including Marshall's post called "Ten Cool Tools for Working on the Web" and I strongly resisted the urge take Thinkature out for a test drive. It is a visual collaboration tool that you can use online and it is something that I have been dreaming about for ten years. I resisted the urge because I wasn't collaborating with anyone on this post and I just needed to do some quick solo visual thinking so I used my snagit program. I'm so glad I was able to guide myself to the best tool for my needs, but more often I need help from peers. "I need a tool that does xyz for abc purpose. What are you using or what would you recommend?" The responses come in, ranging from specific tools to directories or resources that have lists and evaluations of tools. Sometimes clarifying questions. 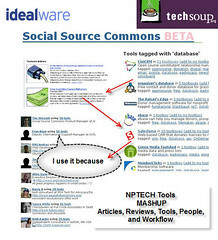 In the NpTech space, Idealware, NTEN, and Techsoup are always mentioned, with pointers to specific articles or reports. And occassionally, there might be a post where some good soul has summarized the learning from the last time that particular question was asked on the listserv. A question was asked recently on the NTEN Consultants affinity group. Someone mentioned Deborah Finn's great post about Social Source Commons. I went to revisit the site having explored in depth a few months ago, but experiencing some Web2.0 or Beth5.0 memory lapses, had forgotten it. Allen Gunn from Aspiration, the site's developer, called me on the phone (how retro!) to talk about the site (it is in beta) and asked for feedback. He talked about some future visions as well as some shorter-term upgrades to the site. One thing he spoke about was mashups with content from other sources, the ability to make "playlists" of tools, and some collaborative filtering or "digg like" features. I’ve installed and successfully used RTFM but what difference has it made to my work? It’s to early to tell but I think the most testing part will be the discipline required to create and use articles rather than respond anew to each request. Thankfully there’s been little to alter in my existing work flow, with much of work done through the e-mail interface. For end users, nothing has changed apart from the e-mail address used to contact us for support. This is the type of experiential knowledge that is so valuable. It's the wisdom of a Technology Steward. So what I think Allen Gunn was describing was to also pull in various blog posts related to tools via RSS in the social source site. What I'm saying is and something that I think Allen described - was to not only see peoples' tool boxes and the tools with links to content about the tools, but in some way to flip the lens and look at it from the viewpoint of outcomes or uses. The key in choosing a tool is the right fit to purpose and practices. Linktribution is given to Alan for designing the flickr contact acquisition behavior scale. Let's start with the differences between these two types of collectors. The term pack rat is also used in English as slang to refer to a person who collects miscellaneous items and has trouble getting rid of them and in severe cases can be a compulsive hoarder. On the other hand, a connoisseur, is a person who has a great deal of knowledge about the fine arts, or an expert judge in matters of taste. The term is from the french term connaître meaning "to be acquainted with something." A connoisseur may be a collector, but makes particular choices about what they add to their collection. Think museum curator versus pawn shop. When someone makes me a contact, the reflex is usually one of “Ahh, that makes my ego feel niiiiice, ooooh, more please”, and to take action right away. If I cannot tell who it is (which is hard form flickr user names), I do check them out, but nearly always I reciprocate. Yup, I might be a Contact _____ (BK added rhymes with score and begins with W). But this FOAF (Friend of a Friend) concept is an underlying thread to tools I’ve gotten addicted to– not just the ego stroking, but the power that comes from making connections with people you both know and don’t know, and more so, using their network as a farther reach of your own. And you really do not find anything like this in typical “educational” software, eh? This prompted me to wonder about nonprofit flickr contact behavior and create the above poll. Some more questions too ..
How do you communicate with your contacts in flickr? How of you used your contact list as a channel for your org message? Tips for being effcient managing your contacts if you're a contact packrat? Is this FOAF concept totally foreign to nonprofit software? And, out of curiosity, how many contacts do you have and how have you been a flickr member? Answer the poll and drop a comment about the other questions. I have 250 contacts in flickr and have been a member for almost two years. If I know the person, I make them a contact. I look at their photos, contact lists, and group membership to see if we have anything in common before making them a contact. I have my flickr email filtered to an outlook folder so I tend to do this contact maintenance in batches. I use the distinctions/viewing rights in "contacts," "friends," and "family" to manage contact communication but it isn't efficient or elegant. I communicate with others in flickr by leaving comments on their photos and some of us have ongoing conversations in flickr. That's also because I tend to upload photos related to my blog posts. 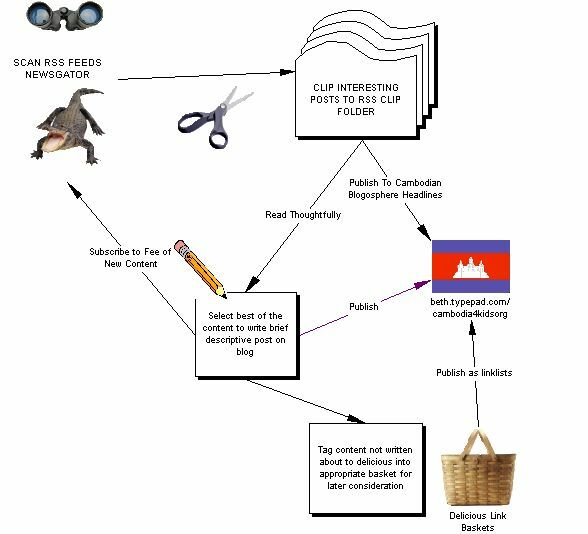 I have a sense that the my blog readers who visual learners like me tend appreciate it. I also join groups and send photos to groups and use the discussion boards. I haven't fully explored the group feature and have way fewer group members than contacts. I'm sure I want to jump down that rabbit hole yet. 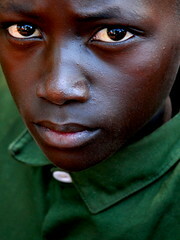 I discovered Camera Rwanda's beautiful photo stream when I wrote about it on blogher last January. Steve Bridger from NFP 2.0 just posted an interview with her entitled "Camera Rwands: Storytelling using Flickr." She talks about how flickr has impacted her, building communities around the images, and the benefits of using flickr for storyelling, communicating with stakeholders about a project. Go right over there and read it! Laura Allen is the co-founder 15SecondPitch, a company that help people to market themselves in 15 seconds on the phone, email, face-to-face, and on business cards. I met Laura at Boston Podcamp very briefly and grabbed her card so I could catch up with her for an interview for Blogher. 1. Why did you launch your company? After 9/11/01 in New York, the economy was truly dismal. For the first time in a long time, I was concerned about finding work. What’s worse, everyone I knew was calling me and asking me to connect them to a job. I did not know of any jobs or anyone hiring. I started to get scared. I was so grateful just to be alive, but also fearful of the future. Jim and I decided that we needed to come up with an easy way to market ourselves and that we needed to share that idea with others because we knew the economy was going to be very rough for an extended period of time. Luckily, people immediately loved the idea of the 15SecondPitch and people started to buy our business cards with their pitches printed on them right away. What we did not know at the time was that people would have a lot of trouble writing their 15SecondPitch, so that became an opportunity for me to offer my marketing/writing/shameless self-promotion expertise to help them decide what they wanted to pitch and how to say it in a way that was authentic for them. 2. What is this 15 second pitch anyway? The 15SecondPitch is a concise, clever and compelling introduction of who you are, what you do, why you are the best at it and your call to action. The best part of the 15SecondPitch is that it can be delivered in just 15 seconds. The idea of the 15SecondPitch is also a nod to Andy Warhol. Warhol said, “In the future, everyone will be famous for 15 Minutes” and I thought that was a very profound idea. Now, we live in an A.D.D. society, so my quote is, “Everyone can be famous for 15Seconds—everyday.” I think that our current technology (cell phones, ipods, blogs, podcasts, blackberries, etc.) is absolutely amazing and beyond anything I could have imagined growing up. The only downside is that people don’t have a lot of time to hear about who you are and what you are doing. You need to cut through everything else that’s vying for their attention at that moment and deliver a VERY memorable pitch! 3. Why do I need one? Is there research that backs it up? 15SecondPitch just completed an informal survey of over 2,000 professionals. We found that nearly 70% of professionals have trouble pitching themselves. We also found that 1/3 of the respondents hated going to networking events and also did not have business cards that reflect their unique talents. Here’s a link to the survey findings. Guy Kawasaki makes a BIG point about how people should learn how to pitch in his blog entry called “Ten Things to Learn This School Year.” Even if you are not in school, I feel learning to pitch is one of the most important things to know if you want to promote yourself. 4. Why would a nonprofit organization need one? Non-profit organizations are in desperate need of a great 15SecondPitch! There are so many amazing non-profits out there. How do you as a progressive, compassionate person decide which causes to donate money to? How do you decide which organizations to volunteer your time with? Whenever I donate my time or money to an organization, it is usually because a someone I meet is PASSIONATE about this organization. How do I know they are passionate? They talk my ear off about all of the great programs and initiatives the non-profit has going on! And this all starts with a conversation. Usually they grab my attention by talking about the mission of the non-profit and then I get excited and want to be a part of it too! If everyone who was very passionate about a given cause took the time to create a simple 15SecondPitch, I’d bet that they’d all raise a lot more awareness and donations. It’s fast, easy and free to create a 15SecondPitch and display it on our website for our 1500+ members to see, so I can’t see why anyone would NOT want to do it. One of the reasons why I like to work with people is because there have been times when I could not find work and it was a very scary time for me. I like to work with organizations who help people get the training they need that they might not be able to get elsewhere. The 15SecondPitch helps people feel more confident about who they are and the skills they have to offer to the world. This is the best part of my “job”. I love working with people and helping them come up with a great pitch that can really transform their lives! One of my clients is a singer/songwriter who emailed me a few days before she had to go to a major music conference. She knew that she did not have a good pitch and that she was not promoting herself as well as she could be. We sat down at a local Starbuck’s and we spent 90 minutes working on her pitch. I could tell you the whole story, but I feel that the pitch speaks for itself! My name is Mara Sanchez and I am a Singer/Songwriter specializing in creating songs in 3 different languages. 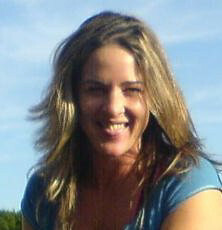 I write 'slammin' music and lyrics in the Pop, Latin, Brazilian and Jazz genres. I am great at what I do because I have toured and performed in Europe and Japan and have shared the spotlight with Stevie Wonder. I also sing in three different languages (Spanish, English and Portuguese) Right now I am recording a new CD of original Latin Pop songs and looking to tour internationally. Mara had a limited budget, so she could not just go out and hire the people that she needed to help her make a name for herself. As a result of her new pitch, she found a music producer and a lawyer who was willing to work pro-bono. This is all because they believed in her talant because she was confident and knew how to marketing herself using her new pitch. Hopefully, Mara will become a household name in the next few years. advice would you suggest? Blogs to read? I would suggest that women focus on creating their own networking groups. Start with one person that you like, add two more, then another and so on. I think that networking events are good, however, to grow your own circle of friends organically over time will always yield better and more consistent results. I go to many networking events here in NYC every week and my goal is always to meet one or two interesting people that I’d like to get to know better. And if I focus on that, I’m never disappointed. I’d also recommend that everyone learn a concept that I created called the “Third Party Pitch.” What this means is that I will invite a friend whom I respect and admire to go to a networking event with me. I know what this person does and I believe in their work. Instead of just focusing on pitching myself all evening, I spend a lot of time promoting my friend. For example, if I meet someone who works at an entertainment company, I might talk about Leslie and her new film. If I meet someone in the music industry, I’ll mention Mara. It’s much easier for me and for most people I know to promote their friends and the vendors they work with. In fact, 90% of my business comes from word of mouth. People work with me and then they recommend me to their friends. This is the most effective type of marketing there is. However, I make it easier for them to market me, by teaching them my 15SecondPitch and giving them a big stack of my business cards to give out when they have the opportunity to do so. Of course I do the same for them, whenever I can. Joitske Hulsebosch, who lives and works in Netherlands, writes a blog called "Communities of practice for development" where she writes about topics related to her work of facilitating processes at different levels; teams, groups, organizations, networks, and communities of practice. After studying irrigation and soil and water conservation, which pays attention to the interface between social systems and irrigation technology in developing countries, she worked for ten years in Africa. Notes Joitske, "I lost the irrigation technology part long ago when I started to specialize on the human systems, first farmers around irrigation, later farmers federations, NGOs and networks. My interest in online interaction is very recent; last year I asked what a blog and a wiki was. I didn’t have a clue." 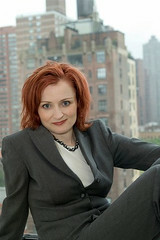 She has worked in Africa as a trainer and later as an organisational advisor. She notes, "I started in Kenya working with a water users association, living in a thatched hut!" 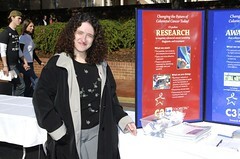 Later, her work brought her to Mali, where she advised on participatory methods. In Ethiopia, she did organizational capacity building work for a local network of NGOs. 1. What is your sense of how these social networking tools, tagging, blogs and the like – are they relevant to the people you work with in developing countries? PersonallyI see a huge potential for web2.0 tools for development, because everyone can now use the web as a space to express themselves, interact and co-create. Through my blog I see what’s possible with free tools. The tools can be useful for in-country connections, in local languages, or north-south connections. In Ghana people are interested in knowing about new tools, because they need to stay in touch with what’s possible in order to decide what may be useful or not. On the other hand, the tools match a mindset of openness, co-creation, ease of writing and expression, etc. and that’s does not always match the way people communicate. My question is whether you need to work on the mindset first, or whether the tools can help shift the mindset as well. I think it needs both, but starting too early to push is not helpful. An offline newsletter or meeting is very important in Ghana for instance for reaching people as they don’t have a habit of reading on the web. I blogged a discussion on web2.0 in Ghana here and a story about the use of a wiki in Zambia by my colleague Saskia here. 2. Your blog is almost a year old! I know because I encouraged you to start blogging! Looking back over the past year, what has your blog done for you? What benefits? What’s the downside? My blog has really stimulated me to read and gain insights. Blogging an article or a book helps me to go one step further because I push myself to formulate what I really learned from it. And it’s a wonderful archive for myself, I use the ‘search this blog’ button a lot on my own blog. And I’m delighted with the positive feedback, the growing readership and the contacts I made. I've also been inspired to experiment with video blog posts and podcasts. But that really takes up time. It’s a creative part of the blog I really love. Lastly, now that I'm blogging, I’m reading other blogs through bloglines (I try to stick to around 50), it's a different way and fast way of learning too, which is very inspiring to me. The only downside is the additive nature of blogging, and it does consume a lot of time. And another disadvantage is that sometimes the best insights are unbloggable, because it is private or sensitive information you don't want to be public. 3. If you were to introduce yourself to someone online via your blog, what 3-5 posts would you have someone read and in what order? Here's what I recommend by topic. I would be interested to know if this is what readers think. Sometimes I think I have an important post, but it does not get comments, so I don't know what people think (and if they even read it :)). I'm too shy to do an online poll. 4. What advice would you give to someone about starting a blog? Start when you have enough time to get a good regular schedule going, think about the topics you want to blog about. Try and get some people interested beforehand to read it, so that you are sure some people will read your blog. It is good to have some experienced bloggers around who can help you out with simple questions you may have. And do it because you like the topic and write about it, don’t do it for an audience. The audience may come, but to keep going regardless of readership, it’s good to have a solid reason why you want write and keep a blog for yourself. 5. What do you think are the best blogs to read in your field? Depends how you define my field! My bloglines profile is public so you can see what I'm reading. For Communities of Practice, it is very nice to subscribe to the CPsquare member’s blogs feed (if you can deal with an overflow of posts that is.) For technology I follow Techcrunch though it’s most of the time too much for me and I just scroll through very rapidly. And Netsquared. For development, there are blogs from agencies like bellanet or global s for a selection of blogposts from any country you are interested in. 6. You work, you travel for work, you’re online, you blog and you have young children. How do you balance all that? I feel I need quite some free, unplanned time to think of new ideas, stimulate creativity, so I try to safeguard my own creative space by planning well ahead by what I take on. I do say no at times. I found a new balance since the children go to school and want to play with friends rather than with me. I try to avoid taking on too much. But my children still complain at times and tell me to close down the computer!